It took me two months to finish this book and no it was not the book's fault. School has been really asking a lot of attention as I had my internship and then got into my exams so I haven't had a lot of time to read... That's why it also took me two months to finish this one. It's a real pity because this book actually is a page turner full of amazing facets of our lives. I have to say it: Jennifer L. Armentrout, you did it once again! 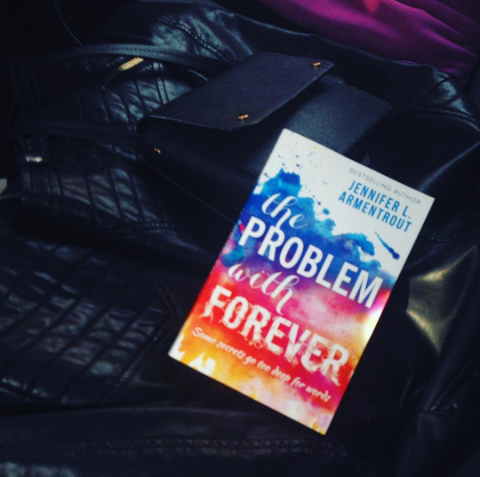 The Problem with Forever by Jennifer L. Armentrout. Mallory is not a big talker, she never has been. From an early age she learned to be silent and not be heard. That's until she's adopted and out of the hellhole she used to be in. Now ready to take a new step on her path, Mallory goes to a public school where she re-encounters someone from the past. This is my first book by Jennifer L. Armentrout that doesn't have any mythical creatures! I know, I'm shocked as well but for some reason I was just really intrigued and before you know it you have the book... it goes as fast as that. Also I was a bit scared that my expectations I had by Jennifer L. Armentrout wouldn't be fulfilled as this is something totally different from what I'm used to but damn... I'm still in love with her books! Especially because of the main character Mallory. I'm a sucker for books that have people in them that have a hard time or had a hard past. Mallory is one of those characters which made it very easy for me to get into the book and absolutely fall in love with the character. Mallory is a very strong character in that way that she comes off very insecure and silent, because she doesn't know any better. Still when it comes to it can really stand up for herself. She's really learned from her past, even though she's still struggling with it and you really see her grow and become the woman she's always destined to be. I absolutely loved to see that happen with this character because you really were there to witness it and to see her grow into a very confident woman. And it isn't all solved in this book. Mallory has had such a hard past and has been struggling so much with it, I'd find it really weird if it was solved immediately. Jennifer L. Armentrout therefore makes a really good vision of how the past can influence you and how much work it needs to be solved. The growth we see in Mallory is outstanding but she's still very realistic when it comes to her past and her being in it. She's still a work in process and I'm glad that the author made us realize that and stayed so close to that as I feel like that's a realistic thing. Nothing is solved in a few weeks. I really appreciated that as well. In general Mallory really is a gentle character who is really open for everyone around her and is prepared to give everyone chances. She's also a very loving and grateful person which made it very easy to relate to and also very pleasant to read. I really don't have any bad things to say to this character. 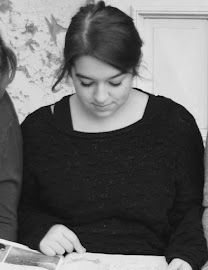 She's realistic, she's well written and she's intriguing, what else do you need? And then there's Rider. A boy I bet all girls are swooning for. A boy with a big heart. A boy who is just as lost as Mallory. I dammit loved him! He seems like the typical high school boy, very cool and attractive but when we look closer to him he has so many qualities that make him stand out. As always Jennifer L. Armentrout knows how to bring us a character that's still very unique and yet very relatable. What was really noticeable with Rider was very selfless. He was always wondering how others were, always noticing things from others and always there with a good piece of advice for others. In the beginning Rider stays a big question mark for us, we barely knew him and how he was handling his life. That also made sure that we really stayed curious to this character as we saw a lot of positive traits developing and see how much he cares about others. As for the plot this was a typical story yet still so special. A boy, a girl, they meet and they get along what more do we need? This story alone would be swoon worthy but of course our dear author made sure a lot of other interesting plots will happen. My first opinion about this story is that it was very realistic. 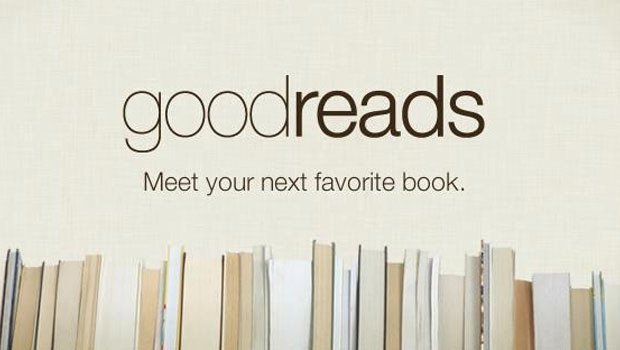 Looking at all other books I read by Jennifer L. Armentrout, which is logical I mean the books only had aliens and gods! However this story just really shows a development of teenage lives and the struggles that come along. A bit of drama, a bit of love and a bit of danger! Of course the drama and love will be things were all of us can relate. We all know the mixed feelings and the feelings of love and the author does a very great job with portraying those for us in a normal teenage and school context. What I also really loved about this book was the fact that there is adoption in it and how that plays out with the characters. Reading how that has developed and how much impact it really had on them, especially because of the hard past that's going to be a big influence on the relationship, made this even more interesting. As for the danger well, this book puts a light onto the fact that some kids get caught in risky business and how that can influence themselves but also the ones around them. This really lead us to the author making this a big deal in the plot and also giving us a very big surprise near the end which sets also something in motion for Rider! I love how all of this was first something separate but at the end started to click together to form a big story that's setting in motion different things. It really made it coherent. And of course this danger also gave a lot more feels and a lot more thrill to the typical lover story. And so the author gives us, once again, an amazing story from beginning to end! Another thing and last thing I'd like to remark is that I really loved the vibe of trial and error in this book. Since our main character is starting over with a new family and has had a very tough past where silence was her only weapon, Mallory wants to try and be better and do better. This will lead to a lot of awkward situations but also a lot of situation that we'll feel so proud on. She's really trying it out and if it doesn't work, she tries again. Just as all of us are doing in life, Mallory keeps doing it better every time and I really loved to see that in this story and come back in a lot of situations. Absolutely waw. And Jennifer L. Armentrout does it once again! This is the first time I've read one of her books that don't contain any mythical characters, but real characters that go through life. And what a life they have. I was absolutely intrigued by every character in this story as it shows so many realities at once that are all unique and influenced by one another. I absolutely loved to be in the head of our main character Mallory as she's trying to figure out what her forever is and what the past means to her. This book is absolutely amazing and yes, contains cuteness all over the place. But the most important thing is the lesson that Jennifer L. Armentrout wrote down for us. 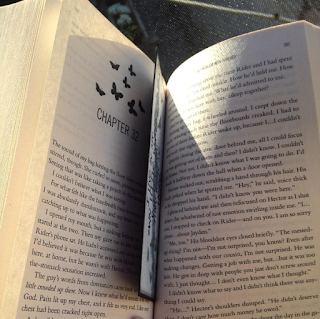 I wish this book could go on Forever but this book doesn't last Forever... I'm happy with it though. It's a real page turner with every facet of our lives. Once again, a great book by one of my favorite authors!